On returning home yesterday evening, I was pleased to find that the postman had delivered a copy of my latest collection of poetry, “Refractions” in braille. “Refractions” is now the third of my books to be available in braille, the others being “Dalliance” and “Lost in the Labyrinth of My Mind”. As a braille reader, its important to me that my work can be read by other users of those peculiar dots known to followers of the black arts as braille …! You can find details of all my books on my “About” Page. 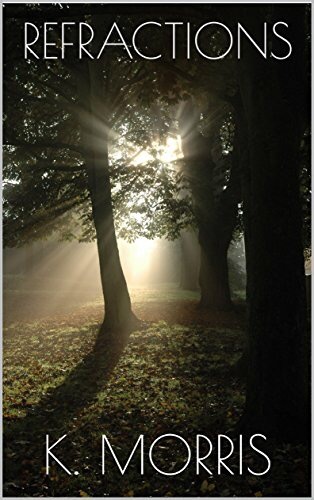 This entry was posted in books, literature, uncategorised and tagged accessible poetry, blind reading, braille poems, k morris poet, k morris rnib, kevin morris poetry, newauthoronline, refractions, rnib, royal national institute of blind people on September 23, 2016 by K Morris Poet. I was delighted to receive the braille edition of my book, “Lost In The Labyrinth Of My Mind” in yesterday’s mail. As I wrote in my post of 19 January (http://newauthoronline.com/2016/01/19/touching-words/), “While I am a huge fan of ebooks there is, in my opinion no substitute for their physical counterparts”. The braille edition of “Lost In The Labyrinth” joins the accessible version of my first collection of poetry, “Dalliance” and is comfortably ensconced next to it on my bookshelves. The Royal National Institute of Blind People (RNIB) have done a good job of work, with the poems being nicely set out on the page. Unfortunately 2 of my poems, “Under The Stars” and “Wind Chimes” have been misrendered with separate titles being assigned to integral parts of both poems (I.E. the coherence of the poetry is interrupted by words which form part of the poems being incorrectly assigned as titles for separate (non-existent) poems). As the poet, I know how the poems should read. However, if RNIB add “Lost In The Labyrinth Of My Mind” to it’s catalogue, others may be confused by what has happened. Consequently I have notified RNIB of the errors which will, I hope be corrected. The misrendering of 2 of my poems underlines for me the importance of proof reading prior to a book going on sale and/or into libraries. Painstaking checking and re-checking (whether of braille or print books) is important as badly presented publications can create a poor impression of the author in the reader’s mind. (“Lost In The Labyrinth Of My Mind” is available as an ebook in the Amazon Kindle store and can be found here, http://www.amazon.co.uk/gp/product/B01AF5EPVY?keywords=Lost%20in%20the%20labyrinth%20of%20my%20mind&qid=1452670393&ref_=sr_1_1&s=digital-text&sr=1-1. I am currently working to produce a print edition which will, I hope be available in mid to late March 2016). This entry was posted in books, literature, Uncategorized and tagged blind reading, braille books, editing, k morris poet, k morris poetry, lost in the labyrinth of my mind k morris, newauthoronline, proof reading, rnib, royal national institute of blind people on February 20, 2016 by K Morris Poet.